Help support Shear Blessings by purchasing one of our T-Shirts for just 15 dollars. Students may wear these shirts on Spirit Days and in gym class (For grades 5-8). If you would like to further support us, you may make an additional donation. Program information, including contact information, dates, and times can be found HERE. 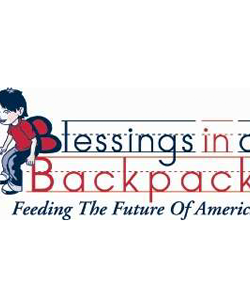 Blessings in a Backpack is a national organization that provides weekend meals to children who, otherwise, might go without. For only $80 a year, you can help feed one!